I never wanted to be a teacher. Actually, I was a little bit insulted when my careers advisor suggested it while I was still at school. I was an arrogant teenager then — I think my reluctance was partly because I thought that teachers didn’t “do”. Which is actually totally untrue. And brings me to my point. Teaching has taught me far more — about writing, about words, about reading, about yoga, about myself than I ever thought was possible. Case in point: last week I taught a yoga class that was based around the theme of dharana, and I read out something from an old issue of the Good Weekend about how multitasking is actually really bad for our concentration. So of course I started thinking about how much I multitask. Or attempt to, anyway. And I realised that a lot of my frustration over the last few weeks at not getting anything done could simply solved by actually concentrating on one thing at a time, rather than flitting from one thing to the next and back again to the first. I tried it this last week. I left the house so I couldn’t be distracted by the kitchen and its need to be cooked in, and I took one project a day up to my favourite cafe. I let myself be okay with the fact that I wouldn’t get anything done on the projects I hadn’t brought with me, and I put all my effort into the one I had. I got so much done. And by the end of the week I really felt like I’d achieved something. The other great thing about teaching is that you get to explore things you are interested in but might not otherwise have got around to looking at; and you get to re-visit other things you might not have had an excuse to otherwise. 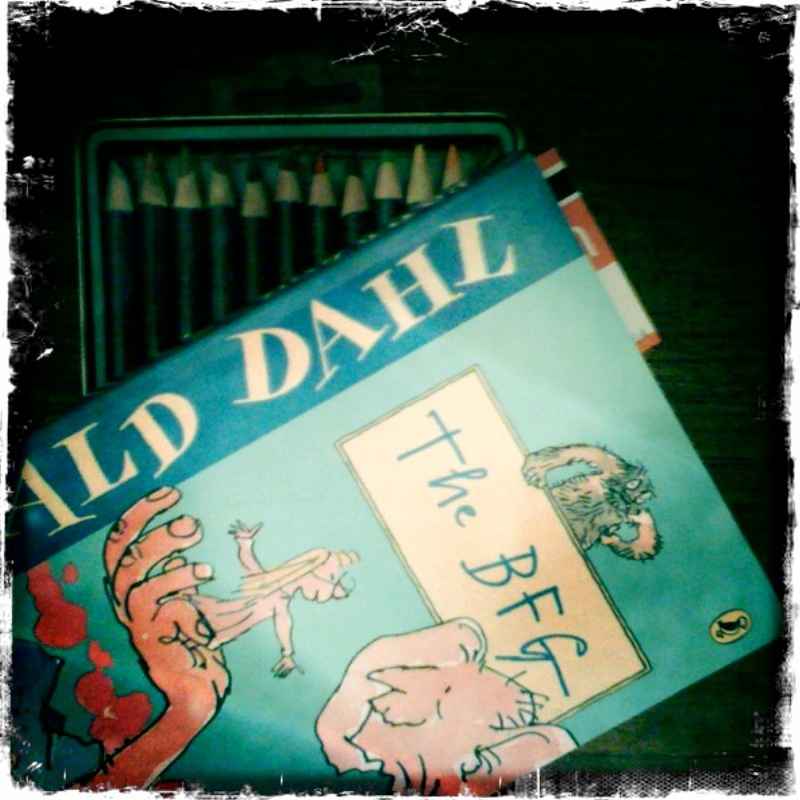 Last week I got to read both Friedrich Nietzsche and Roald Dahl. This afternoon I wandered up to my favourite writing cafe and sat myself down at their long wooden table with my notebook. I was fairly happily scribbling when a bunch of people sat down next to me (the table runs almost the full length of the cafe, so it’s a shared space). At first I was vaguely irritated, fearing distraction and interruption. But I needn’t have spent the energy being annoyed, because the group was some kind of creative writing course group, meeting up to talk and write. The air is strangely like water: thick, moving around her body fluidly, letting her past. It is cold, the air, like the creek she swam in as a child, and she feels the pimples appear on her skin, running down her arms and legs as if spreading out from her navel. Her hair is all around her, her scalp has never been more alive. The rushing air cools it, the hair itself pulls at its roots, warming little pin pricks all over. She can feel the air under her fingernails and thinks, if she makes it out of this alive, she should cut them, they are too long. Strangely she feels no fear, even though her heart pumps so hard she thinks it might break inside her body. Her limbs tremble with its beat and adrenaline turns her lips a bright, bright red. The rushing air finds its way into her clothes, pushing them around and up behind her.